In Boston mesothelioma lawsuits, a key point that must be made – even before a case can make it to the trial phase – is sufficient proof the condition was caused by the defendant, either through action (producing a dangerous product) or inaction (failure to warn). Some defendants have worked the time lapse present in most of these cases, as well as the large number of defendants, to their advantage. Symptoms of mesothelioma, a terminal form of cancer caused by exposure to asbestos, do not appear until decades after exposure. By then, memories fade, records are discarded and it can be difficult to pinpoint exact times and dates. Beyond that, asbestos was used in a wide range of products throughout the 20th Century. For a plaintiff, the challenge is to show there was a significant degree of exposure to the defendant’s product and that it was that exposure which substantially contributed to illness. In the recent case of Ganoe v. Metalclad Insulation Corp., a trial court had granted summary judgment to the defense, which argued causation – connecting the plaintiff’s illness to exposure to the defense product – was lacking. However, the California Court of Appeal, Second Appellate District, Division Three, reversed. 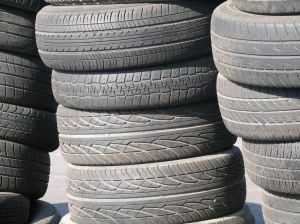 According to court records, the plaintiff, who died while his action was pending, worked as a utility man for the Los Angeles branch of Goodyear Tire & Rubber from the late 1960s through the end of the 1970s. However, it wasn’t until 2010 that he was diagnosed with mesothelioma. Just three months after being diagnosed, he filed a lawsuit, alleging his disease was caused by the exposure to asbestos he endured while working at Goodyear. The defendant, Metalclad, argued in a request for summary judgment that plaintiff failed to identify any witnesses who could attest to the plaintiff’s having worked with the firm’s products. The company also noted there was no indication it had even supplied, installed or removed products for Goodyear during the time the plaintiff noted. Specifically, the firm pointed to testimony of the plaintiff’s former co-worker, who said he had “never heard of” the defendant company. Further, a defense witness indicated the company had no information or documentation to suggest having supplied any materials or performed any work at Goodyear. However, this was later refuted when the defendant produced a document during the deposition phase indicating the company had, in fact, performed insulation work on steam piping at the Goodyear plant in 1974 – the same time the plaintiff worked at the firm. The defense would later tell the judge it had not performed a separate search of records in response to the plaintiff’s request for discovery, but had instead provided responses based on a search conducted in a similar case, which had taken place several years earlier. Based on this, the plaintiffs filed an amended motion appealing summary judgment. The judge granted it anyway, but the appellate court later reversed.